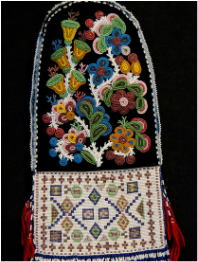 This exquisite fire bag from the James Bay Cree has a loom beaded drop and all it's wool tassels intact. It was collected by a Danish immigrant to Canada who sent it back to her relatives in Denmark. We were fortunate to obtain it directly from the descendants. $7,500. Hide bag edged with pony beads. 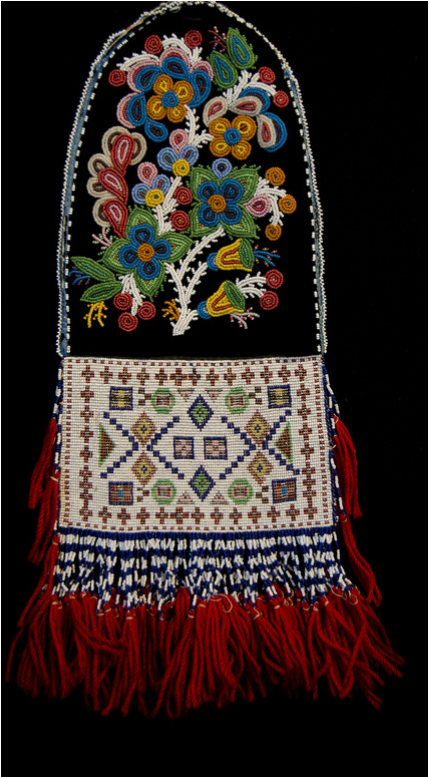 This rare and beautiful bag dates to the 1870's. 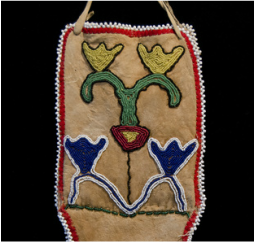 Tlingit bag from the beginning of the 20th century. 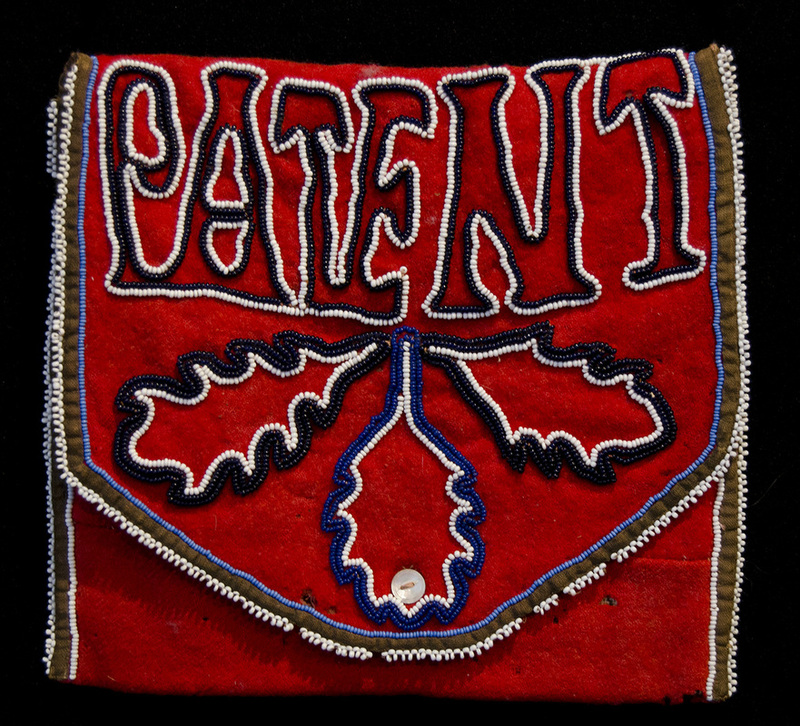 The cross cultural reference to 'Patent' marks this as precursor to Pop Art with it's reference to a word frequently seen on saddles and other trade items meant to protect its design from commercial exploitation. Whether the artist had the same intention is a matter of speculation but the effect is the same.